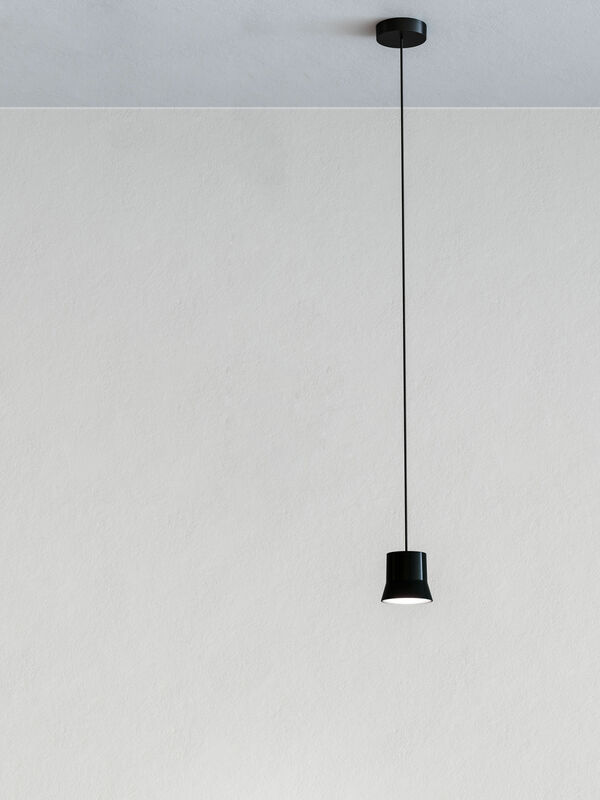 Raw beauty and a very trendy industrial style for this pendant… Made from die-cast aluminium, Gio Light is characterised by a timeless design with subtle and discreet geometric shapes. During the design of this pendant, the French designer Patrick Norguet explains that the guiding principle was "Offer more with less". As such, Gio Light has a simple shape, with no superfluous details, but giving off a quality light to illuminate your rooms in an irreproachable manner. 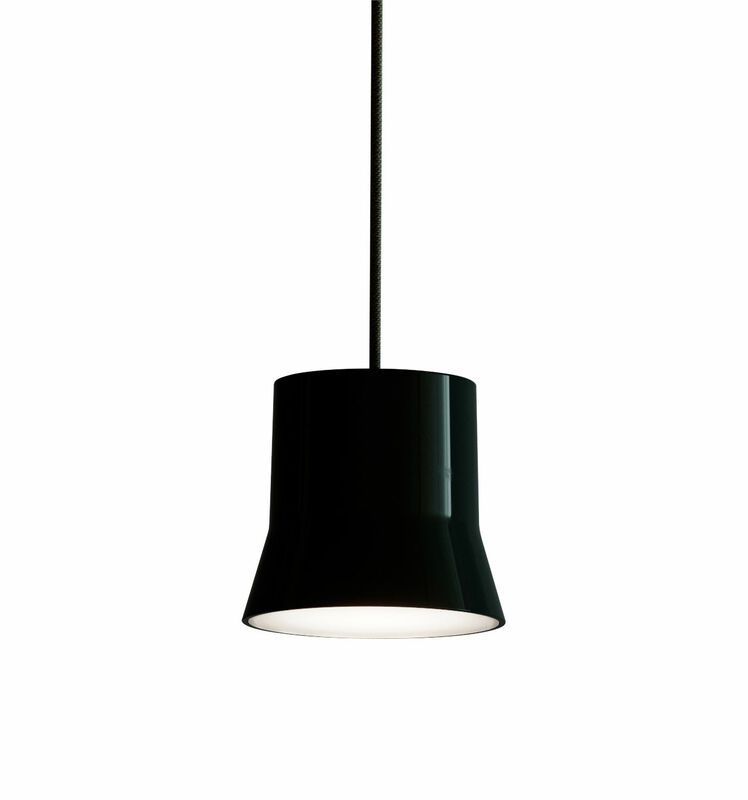 This very practical pendant also offers the option of adjusting the cable height (from 50 to 150 cm) in order to position the light source where you like. 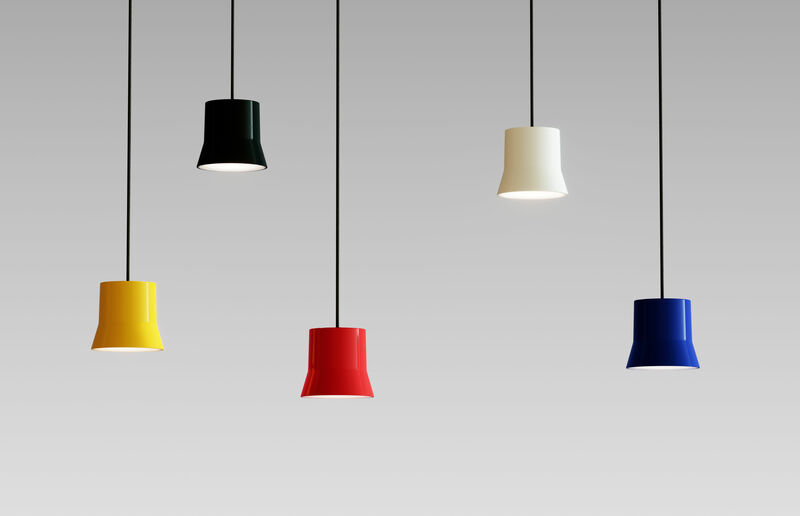 Presented on its own, in a line or even in a cluster, the Gio Light offers a strong decorative value. Whatever the colour you go for (white, black or red), this pendant is so elegant that it harmoniously blends into any environment.